We refer to the statements made by Aston Paiva as reported in “Ask right questions in secular-Islamic debate on country’s identity, lawyer says,” published in The Malaysian Insider on September 22. Indeed, we agree that in order for the debate on the implementation of hudud to be beneficial, the public must ask the right questions. Participants in the discussion cannot turn it into something that it is not by bringing non-issues on the table. This in turn will allow the discussion to mature, based on solidly objective facts, supported by honest opinions for the good of the nation. While we agree that Malaysia practises democracy, the real question worthy of consideration here, is whether the mere fact of being democratic would limit Malaysia’s religious tendency? Flowing therefrom, does it even matter whether Malaysia is or is not an Islamic state? For the sake of the discussion – although we dispute such assertion – suppose one were to agree that Malaysia is not an Islamic state, how significant is this allegation in affecting and charting the path of the nation? Does it automatically impute that Malaysia is a state with an administrative body entirely divorced from divine influence? This is where the writers respectfully differ from Aston. The make-up of Malaysia shows that it can, and indeed should, be both – that is, a democratic state while maintaining the spirits and injunctions of Shariah in its governance as well as laws. In the social context, not only has Malaysia allowed religiousness in its administrative sphere since time immemorial, it has also always celebrated such religiosity in every aspects of nation building. The Rukun Negara respected as the Malaysian creed clearly proclaims “Kepercayaan Kepada Tuhan” (faith and belief in God) as its foremost principle. The national anthem, Negaraku, beautifully and poetically prays for God’s grace, “Rahmat bahagia Tuhan kurniakan”. While the Jalur Gemilang bears the crescent and star, symbolic of the nation’s Muslim heritage. These are our collective social narrative, to which the sooner we could all accept and embrace them, the better. To fully understand the make-up of our nation, it is important to understand its legal framework and in order to understand the legal framework, it is essential to attempt to understand what Shariah laws are, since it is our contention that Shariah is very much part and parcel of our legal system. In essence, Shariah laws are derived from the Quran and Sunnah, as well as the enlightened interpretations and postulations of learned jurists (faqih), aiming at (i) preserving religion; (ii) protecting life and dignity; (iii) safeguarding progeny; (iv) promoting intellect; and (v) fortifying property, all of which could be broken down to at least four limbs: (i) Ibadat (anything that relates to the religious affairs of a person), (ii) Munakahat (laws relating to familial or personal relationships), (iii) Muamalat (commercial and transaction laws) and (iv) jinayat (criminal laws that are further broken down to hudud, qisas and ta’zir). Going by this definition, could Malaysia still be called a secular state when it has implemented laws in all aspect of the Shariah into its legal system? Take Tabung Haji, for instance, a corporation established under the piece of legislation passed by our parliament known as the Tabung Haji Act 1995 – being a democratic state certainly does not stop Malaysia from enacting laws to support and encourage Muslims’ observations of their religious obligations. Let us also not forget, Malaysia has established the Shariah Courts which assume jurisdiction over Muslims. And as for commercial transactions, they are even more obvious and pervasive, since Malaysia enacted the Islamic Financial Services Act 2013 to supplement its “secular” counterpart, the Financial Services Act 2013. Previously, we had the Insurance Act 1996 to complement the Takaful Act 1984. Lastly, the controversial Shariah criminal laws: hudud – Malaysia has allowed its respective state legislative bodies to enact laws to govern hudud offences, although some may argue that the existing framework does not allow for their implementation (yet) by virtue of the punishments imposed, this does not in any way deny the fact that all of the offences categorised as hudud offences are already loosely enacted. Thus, it is clear that religiosity is entrenched in our legal system, and that all limbs of the Shariah laws are already incorporated in one way or another despite there would always be rooms for improvements. The constitutional aspect of this discussion will further reinforce the fact that Malaysia’s claim for democracy does not bar Parliament from enacting laws with religious leaning. Far from it, it actually puts a positive obligation upon the shoulders of the government of the day to give effect by appropriate state action to the injunction of Islam and able to facilitate and encourage people to hold their lives according to the Islamic injunction, in spiritual and daily life. In the Federal Constitution, the word “Islam” or its derivative appeared no fewer than 20 times in nine different articles. Foremost of those articles is Article 3, where it clearly provides that Islam is the religion of the federation. Except for Sarawak, all states in Malaysia had also declared that Islam is the religion of the states. Making this declaration is not something to be taken lightly. When read together with Schedule 4 of the Federal Constitution – known as the oath of the Yang Di-Pertuan Agong to supplement Articles 32 and 37 – it is clear that there is a constitutional duty on the part of the supreme head of the federation to protect and promote Islam. That the Malaysian philosophy upholds the belief in the existence of God; that the Malaysian legal system implements all aspects of the Shariah – despite with much room for improvement; that Islam is declared the religion of the federation with a positive constitutional obligation on the government to promote and protect it – yes, we need to ask the right questions, and to answer them honestly and objectively. More importantly, even if one were to be so adamant as to insist that this country is a democratic-secular state, such views would bring us nowhere in the debate, because the legitimacy of our laws is not tagged to what one wishes the state’s philosophy to be, but rather to the legitimacy of its legislative bodies. At the end of it all, regardless of whatever system one wishes to name ours, it does not nullify the powers we have conferred upon Parliament and state legislative bodies – so long as these entities exercised their respective law-making powers within the confines of the constitutional framework, the laws passed by them must be accepted as legitimate laws. An ideology tagged to a system of state does not and cannot nullify the powers to pass legitimate laws. Take Nigeria, for example. The Constitution of Nigeria specifically provides that the state is secular, yet 12 out of 36 of its states are implementing Shariah laws. This could be contrasted with Oman, where Article 2 of its constitution cogently states that “the religion of the State is Islam and the Islamic Shariah is the basis of legislation” but some mixtures of English laws are still by and large practised and implemented there. One can argue on the moot points of Malaysia’s democratic nature until the cows come home. It does not matter. As long as our laws are legitimately passed through the proper legal processes, and were made within the strict confines of the nation’s constitutional framework, the laws would be legitimate and valid, regardless of whether one calls them democratic, secular, Islamic, theocratic, socialist, or by any other names. After all, as succinctly put by Shakespeare: “What is in a name? A rose being called by other names still smells as sweet.” – September 28, 2015. 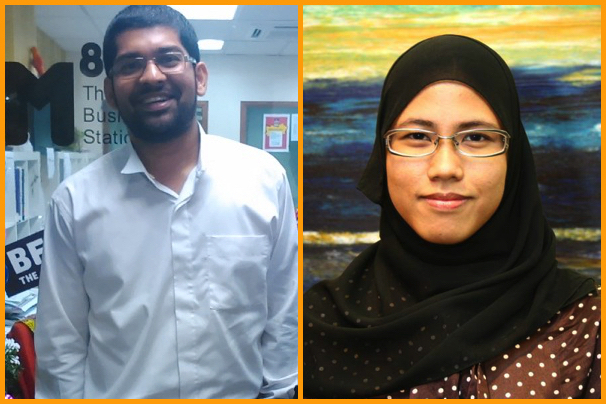 * Fatihah Jamhari and Aidil Khalid are lawyers practising in Kuala Lumpur and Selangor respectively, and are activist members of Concerned Lawyers for Justice (CLJ). * First published in The Malaysian Insider, 28 September 2015. September 28, 2015 in Perlembagaan Persekutuan.